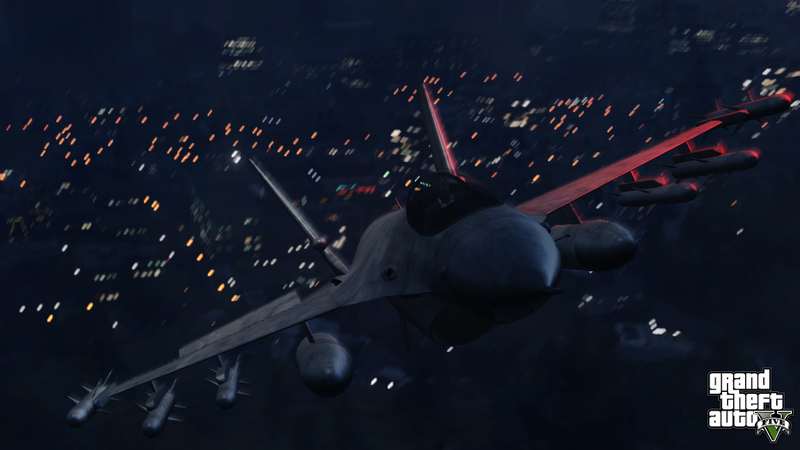 Rockstar Games have released 3 new screenshots for Grand Theft Auto V (GTA V) following the release of 3 earlier on this week. 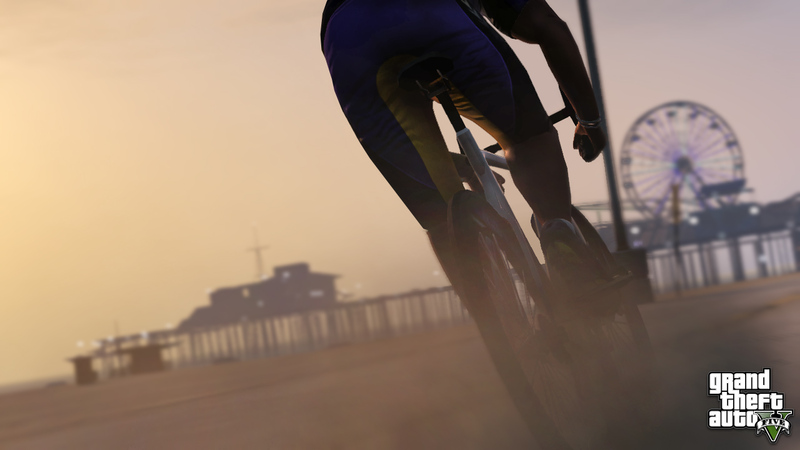 In a post titled ‘leisure’ on the Rockstar Games main website are 3 screenshots which show off different activities taking place within the world of Los Santos. 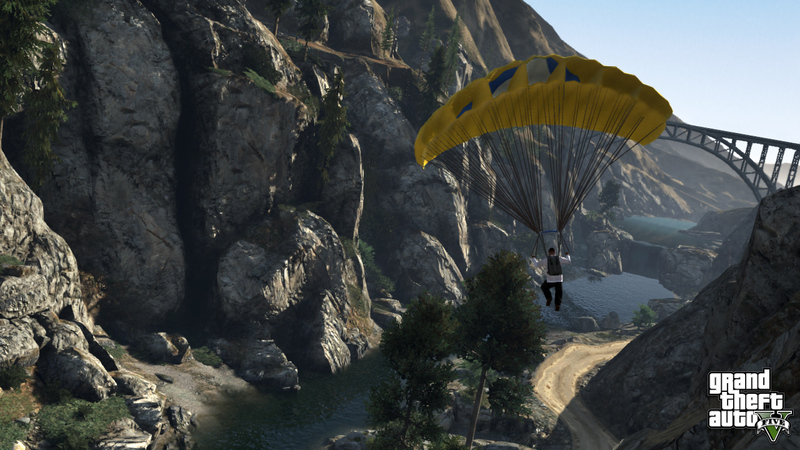 In the first screenshot shown we’re treated to a person parachuting down what appears to be a canyon highly likely to be in the National Park featured originally in GTA San Andreas and the trailer for GTA V. This could see the base jumping and parachuting from previous games in the series returning, especially considering how it was used in missions in GTA IV: The Ballad of Gay Tony. 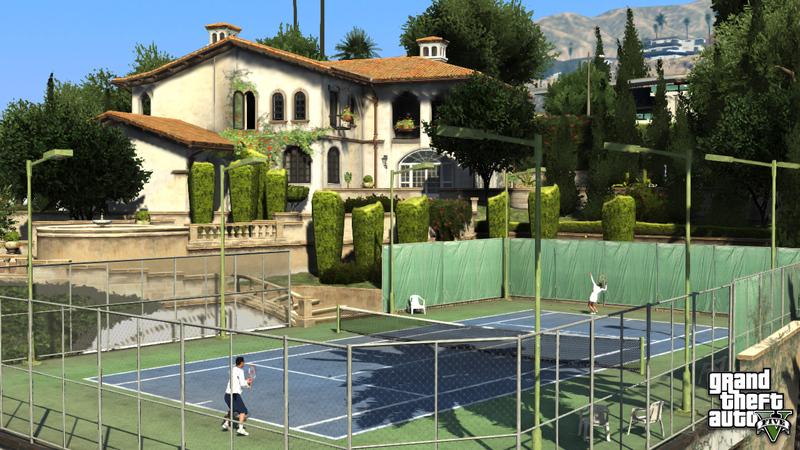 The second screenshot is of two people playing tennis in the grounds of a large looking mediterranean mansion with hills directly behind. This is clearly the richer area of Los Santos but whether you’ll now be able to play tennis in GTA V remains to be seen, it hasn’t been included in other titles in the series so far. The last screenshot shows off 3 dirt bikes who appear to be racing each other up a dirt track, this could, again, be set in the National Park already shown off in the first trailer. 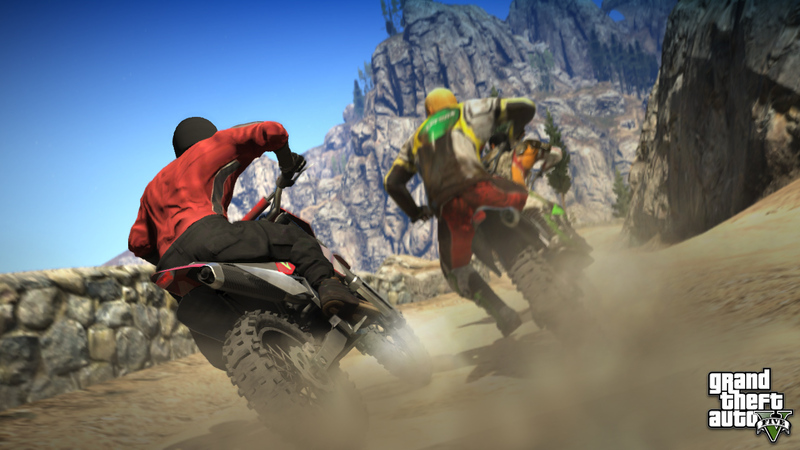 It certainly confirms the inclusion of dirt bikes and from that screenshot it really makes me hope that Rockstar Games have improved the riding model so I can tear it up with satisfaction along the dirt tracks. Whether or not any of these people shown in the screenshots are the game’s protagonist/s remains to be seen but with Rockstar Games slowly drip feeding information it should only be a matter of time before we get to find out who we’ll be playing as. Check out the 3 screenshots released today and the previous 3 released earlier this week in the gallery below. 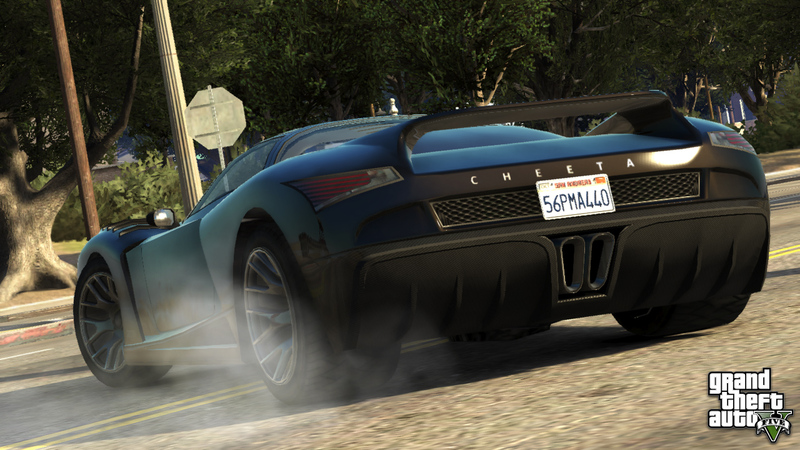 For more information on GTA V check out the official website here.